The security sector reform (SSR) is another major condition for durable peace in West Africa and the Sahel, as regularly stated by the Security Council and the Secretary-General. The situation in Guinea is yet another illustration of how the defense and security sector are key to stabilizing the country, both because of its still predominant political role and the potentially explosive tensions prevailing within the security architecture. 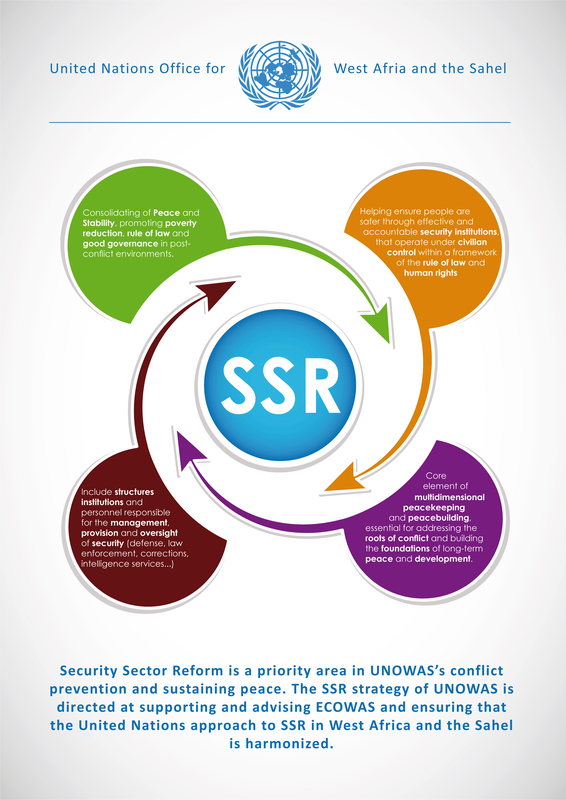 In Guinea and elsewhere, therefore, security sector reform has become a priority area for UNOWAS’s conflict prevention efforts. Its SSR strategy is directed at supporting and advising ECOWAS on the one hand and ensuring that the United Nations approach to SSR in West Africa and the Sahel is harmonized on the other hand.